A spine injury, and dashed hopes, set Zahra Ali on an unexpected life path. “Luckily, during the end of my university education, I had an accident,” says Zahra Ali. Curiously, her voice is completely devoid of irony, despite the fact that the accident she refers to damaged her spine and confined her within the four walls of her house. It interrupted her college education, throwing a wrench into the carefully laid plans the then young adult had crafted for her life. Karachi native Zahra Ali’s fondest childhood memories are the ones spent frolicking in nature. “Once, during school vacation, we stayed at a farm in the midst of wilderness. Our days were spent picking vegetables that were going to be cooked for lunch, plucking and devouring mangoes off trees and playing in the fields all day long. Back in Karachi, the favourite part of my day was cycling in the huge park near our house. I would spend hours at a stretch climbing trees, collecting seeds and playing in that park. Growing up, I got disconnected from nature and all the joy she brought me. But I remembered how the simple act of picking a carrot on the farm made me feel so happy and rooted. I knew then that I wanted to grow things but did not have access to a patch of land that would support this dream,” she remembers wistfully. When time came to decide what to do with her life, Zahra settled for studying computer science because she was good at software design and programming. “But as I went through college I realized that I couldn’t muster any interest in a career in the subjects I was studying. It was one thing to be good at it inside a classroom, quite another to spend my days staring at a computer screen,” she says. During this time one day she suffered an accident that injured her tailbone and led to debilitating agony. Housebound and in intense pain, managing basic everyday tasks became an uphill battle. The optimism with which she views the accident today was in no way her perspective back then. She still did not have access to a patch of land. So, necessity became the mother of invention as she decided to grow crops on her concrete terrace. “This was back in 2008, when nobody was talking about urban gardening in the country. Today there are many inspirational gardeners and widely available information about rooftop farming in Pakistan. Back when I was starting out, I couldn’t find anyone to tell me how to find good quality seeds, how to get the soil composition right for the pots or even how to grow tomatoes. I was a rank novice. 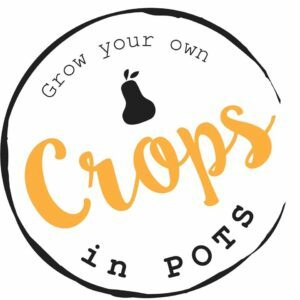 I started my blog, Crops in Pots, to keep myself motivated and document my learnings,” she shares. It’s not that Zahra made a miraculous recovery but that her mindset underwent a transformation. “I had back injury where the pain was so severe that I couldn’t bend down. And here I was, gardening! I was bending down, sitting on my haunches and potting away to glory. It healed me. It could be the therapeutic effect of being close to nature, the joy of working with an involved community or simply discovering my life’s passion. The next year and a half passed blissfully where my grief evaporated and my pain could not hold me back from doing the work I loved,” she shares excitedly. But the more Zahra delved into farming, the more she discovered information that riled her. She says, “I was dismayed to learn about seed politics and how biodiversity in Pakistan is vanishing because of the degenerative agricultural systems in place. I decided to learn more and did online courses from Green Education Foundation, Boston. I eventually got certified as a sustainability specialist. On my blog I started writing about having school gardens. In Karachi we have about seven hundred government schools which have huge grounds. I had this idea about educating children, through practical lessons, on where their food is coming from. Nature is something that brings everyone closer. Reconnecting children to nature and educating them about their local environmental issues seemed like a no-brainer to me. A school, Dawood Public School, soon invited me to experiment this idea with their students. Soon after, a newspaper asked her to write a column for them. 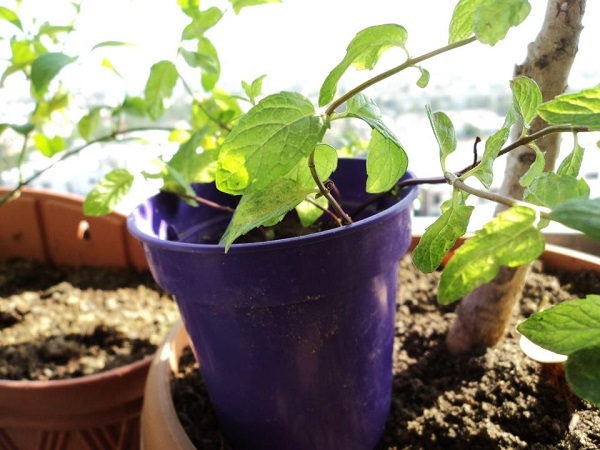 The column was called Green Thumb and discussed kitchen gardening. 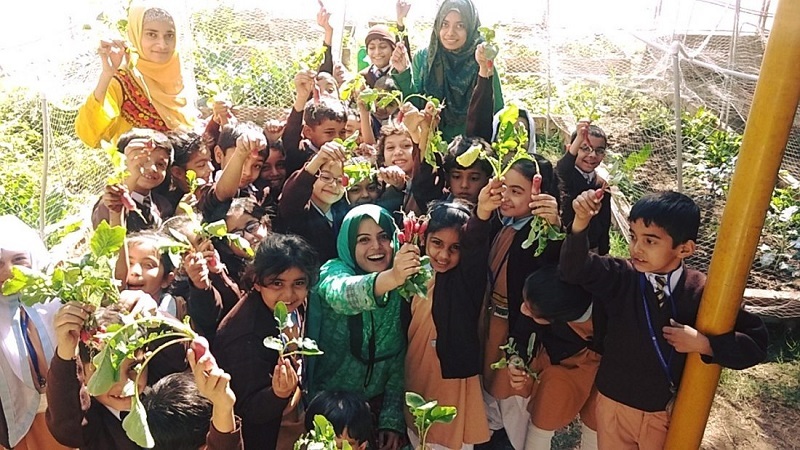 As Zahra submerged herself in all things green, her profile as a sustainability expert rose and her initiatives – be it gardening with school children, the blog or her nascent writing career – gained traction. She was even appointed Jamie Oliver’s Food Ambassador for Karachi. When a school first reached out to her, via her blog, to turn a patch of their grounds into a garden, Zahra went along delightedly with no set plan. The school had a progressive principal passionate about hands-on methods of education. “She gave me the space and resources I needed to turn this hobby into an educational initiative. The first year was entirely experimental. From the second year onwards, I was honing and fine tuning the curriculum. I realized I needed to understand the local environment and impart that understanding though the curriculum,” she says. Zahra (centre) with some of her students. Initially Zahra wasn’t sure if she would implement the program beyond that one school. “But the energy and passion that the children expressed when they saw the first seed sprout won my heart. I knew I wanted to experience that over and over again,” she says. And Green Schools Pakistan was born. A friend arranged a meeting with a representative of the Haq Foundation School and that lead to a fruitful collaboration. The Haq Foundation School has been the primary base of the program for the past four years. Gradually the school’s learning garden garnered popularity. As journalists visited and wrote about it, other schools started coming onboard. 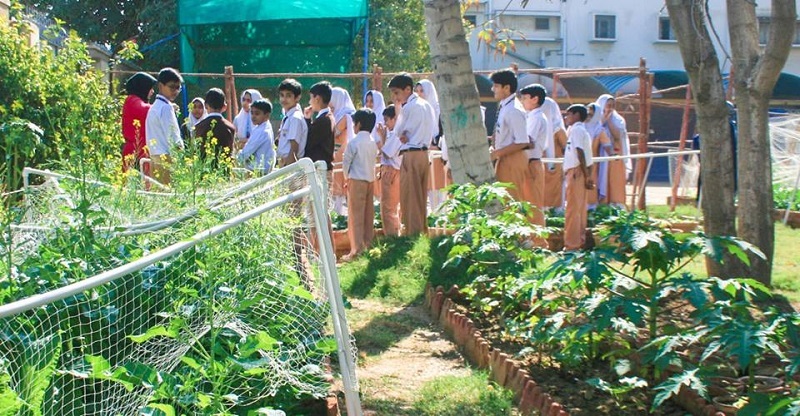 Today Green Schools Pakistan has five thousand students across a wide variety of schools, ranging from affluent institutions to ones located in slums and even home schoolers. “Some of our schools are in densely populated slum areas with no access to land. In these schools we use the rooftops and planters for learning. Recently a home-schooling association in Karachi has expressed interest in joining the program. I am very excited to work with such different kinds of students, and their mothers, and explore together the joys of working with soil,” beams Zahra. Crops in Pots has gone from being Pakistan’s only to its most popular gardening blog, a feat achieved without any ambition on Zahra’s part. She says, “I was just being myself, honestly sharing my struggles and learnings. 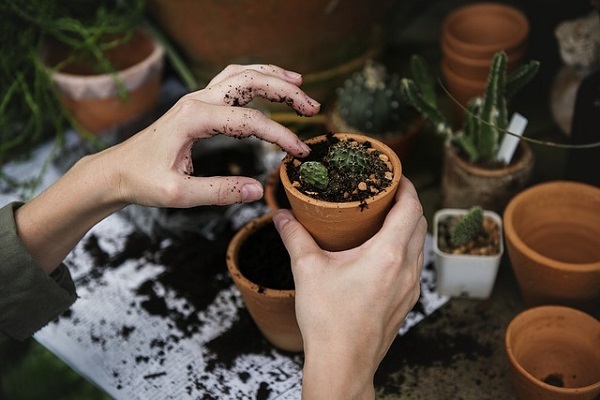 I think the pleasure I derive from this work is reflected and people are inspired by that.” The treasure trove of content on her blog ranges from the basics of potting and planting to learning to grow your own coconut trees. “We had an online only community for the longest time. Simultaneously, I was participating in the Pakistan Flower Show in Karachi. That event is such an institution in the city that it draws huge crowds. At my stall there I had more than thirty-five types of heirloom vegetables and plants. It was the first-time blog readers came and interacted with me in person. People who didn’t know about the blog would go home and look it up. The tremendous success of my stall at the show made me realize that the blog is much bigger than I had imagined. I realized we are a big community and should connect beyond the virtual realm. I started planning events, workshops and meetups. We have a very active WhatsApp group. Our network is thriving. I think that, living in a volatile city like Karachi, we are all kindred spirits who find peace and quiet in working with nature,” she says. 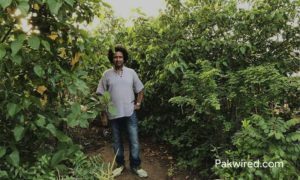 Today Crops in Pots has thousands of online readers, a robust Facebook page and five hundred urban farmers across Karachi cheering on each other’s efforts of harvesting organic, juicy produce from barren concrete. Karachi, one of the most densely populated cities in the world, is also with one of the least green coverage. An urban jungle repeatedly struck by heatwaves whose green cover is estimated to be at less than five percent, it is up to citizens like these to take charge of their city and turn it into the habitat they dream of living in. 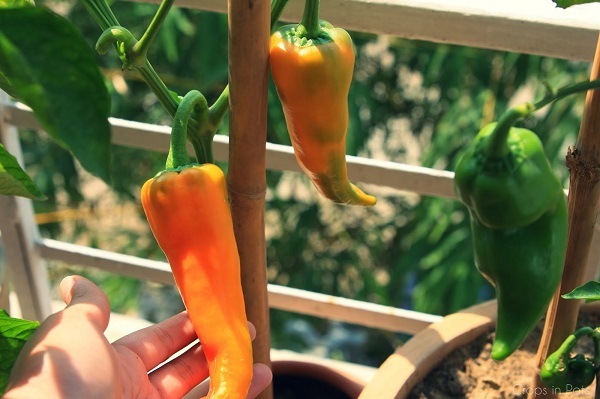 Zahra’s biggest challenge in her quest to be a rooftop farmer has been sourcing natural, non-hybrid, seeds. 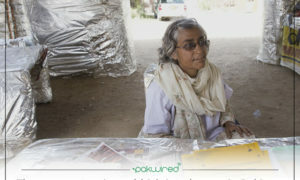 “Despite intense efforts, I have not been able to find heirloom seeds in Karachi or across Pakistan. Apart from obscure rural farmers, that culture does not exist here. Every year I buy seeds from online stores in UK or USA. My favourite is Rare Seeds. They have a huge collection of heirloom seeds and painstakingly research the history behind them. Learning where in the world that seed originated and where it’s been sourced from is fun for both me and my students,” she says. Zahra feels sad to see biodiversity vanishing from agriculture in Pakistan due to a destructive food cycle and toxic food chains implemented for profit rather than health. But she is determined to do her part in restoring it. “I try to instil in my students a wonder for the natural world. They are fascinated when they grow black and blue corn, yellow and purple tomatoes. They never get bored with the laborious process of gardening. In fact, they now willingly eat more vegetables because they love to eat what they’ve grown,” she says with a grin. For someone helming two rapidly growing organizations, Zahra is strangely reticent about calling herself an entrepreneur. This stems from reluctance to be one rather than modesty. She doesn’t plan outreach programs or strategize growth. Most of the organizations or individuals who reach out to her do so because of her word of mouth reputation or through her blog. If she finds their project compelling, she takes it on. 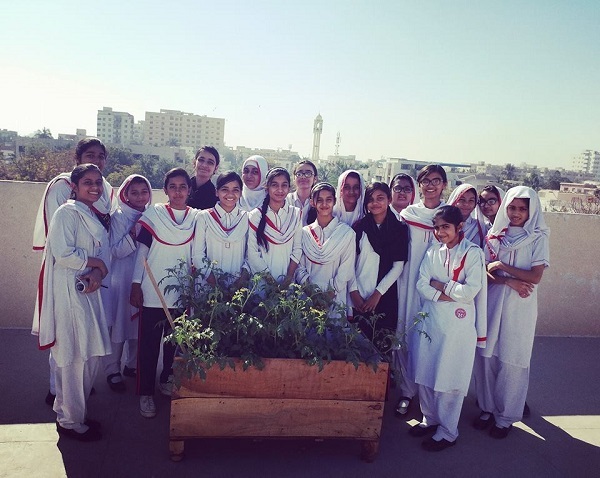 Students, under Zahra’s aegis, experiment with rooftop farming at their school. She also works as a consultant for organizations looking to invest in community gardening projects and writes for various publications on sustainability. But that is the extent of her scaling plans. I have been pitched ideas and I know I can scale this as a business. But I do not have a set plan for myself and I don’t aim for the high profit life. I have enough projects going on that sustain me financially while giving me room for personal growth and creative expression,” she adds. Zahra spent two years as an instructor at Recovery House – a centre of rehabilitation for people with mental illness. She conducted horticulture therapy sessions with clients suffering from mood and personality disorders, anxiety, substance abuse and schizophrenia. “Growing an organic herb and vegetable garden has turned out to be much more than just growing food. It’s a space where we find tranquillity, hope, life and ideas,” she wrote of the experience. Initially Zahra was afraid that her lack of mental health training might negatively affect the clients. She says, “But the doctors and management supported me and supervised my classes. They also educated me on mental health issues and the history of the clients. Zahra, with some students, at their school’s learning garden. When stress and changes in her personal life lead to an episode of depression, Zahra felt well equipped to handle the disease. She reveals, “That learning of being able to heal someone else really helped me in my own time of need. I did not take medicine to recover from depression, though I’d been prescribed them. I used to cry frequently and had all the classic symptoms. So, I gave myself a complete break. I stopped all my professional gardening projects and returned to my terrace where I did it only for myself. As I stopped to breathe and pay attention to my needs, within a few months I was able to come back to life. The knowledge I gathered working at Recovery House helped me understand my own symptoms and also practice what I preached. Healed and rejuvenated, Zahra is now in talks with various people to start healing gardens and therapeutic community projects in Karachi. For those looking to galvanise the power of community to create change, she has one piece of advice – to put that community first.